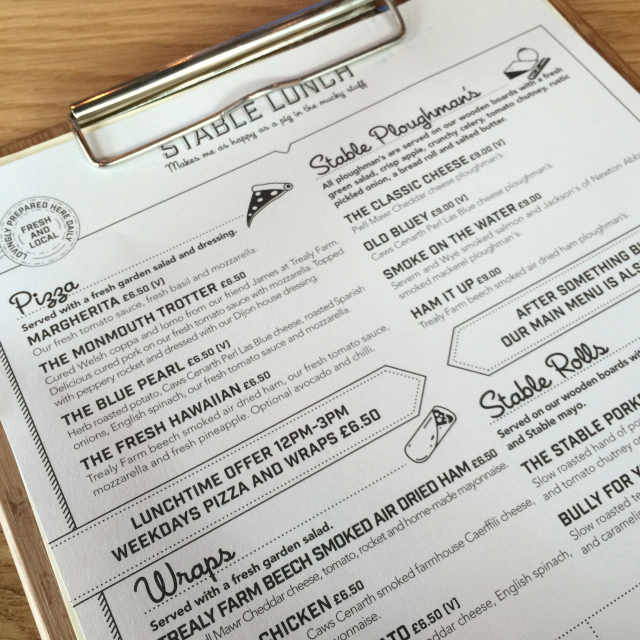 I know I go on and on about food, but you may remember me harking on and on about a little pizza and cider haven in Newquay here called The Stable. 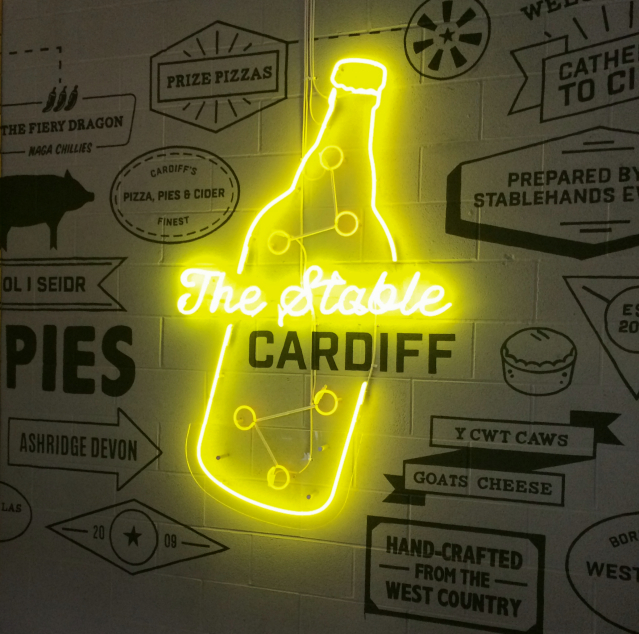 Well back then I thought that Fistral Beach was the only one, but not only do they have numerous branches, they've also brought a piece of their West Country lovin' to Cardiff. I've been dying to try The Stable ever since I missed their opening night, but life and all sorts of other food kept getting in the way. So with a quiet afternoon off work one day, Mr P and I headed into the capital to hunter gather ourselves some lunch. Both the full and lunch menus were on offer, but surprise, we couldn't decide. 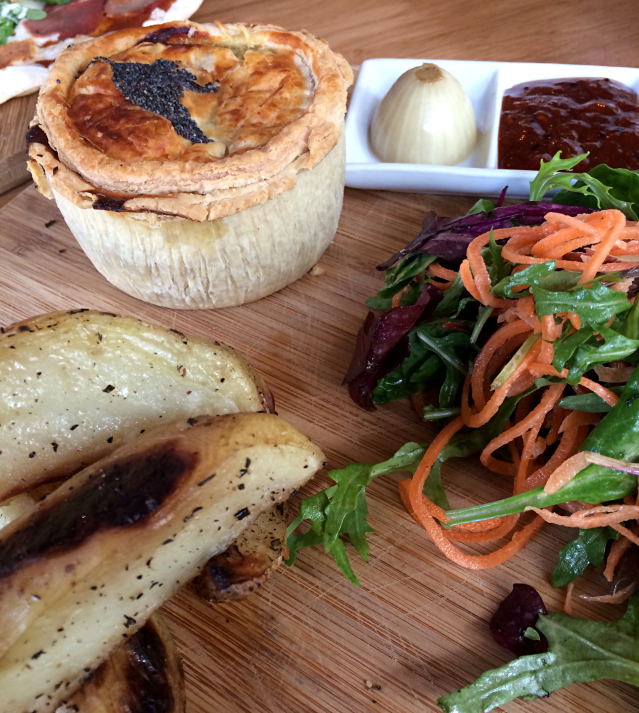 Mr P went for the 'Monmouth Trotter' pizza from the lunch menu, and I picked the Wild Rooster pie from the main menu. I was sold by the roast potatoes, to be honest. 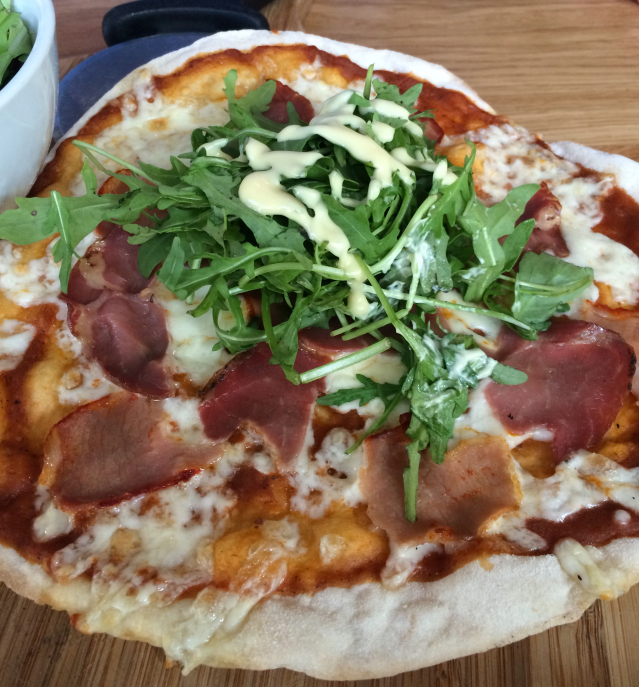 I know it might look pretty, but I really do hate it when someone shoves a lump of rocket on top of a pizza. It's so unnecessary and annoying, especially when said pizza comes with a side salad in a bowl next to it. Rant over. Pizza was pronounced lovely and crispy, and with plenty of topping. It felt a little on the small side, but that's probably our fault for being such naughty breakfast-skipping late lunchers. 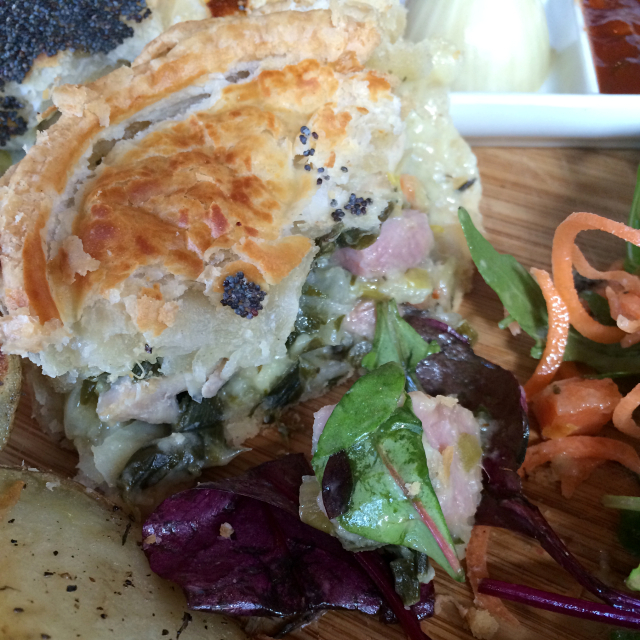 This was from the lunch menu too, so more than adequate with the salad for a normal weekday lunch. For those with normal sized stomachs. I think I won in the food stakes to be honest. 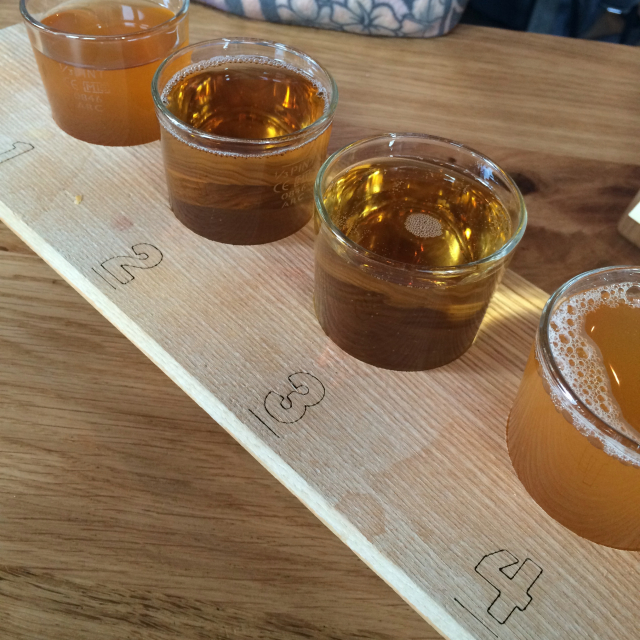 A good start to a chill out date afternoon in Cardiff. It's not the same, however, staring out at Barrack Lane instead of a Fistral Beach sunset so I just can't quite get the same excitement as I did first time around. Nevertheless, I'm sure I'll be back with a bunch friends for a relaxed evening to make our way through the cider menu, and for some more of those lovely roast potatoes.